Back To Ours Spring Shindig. 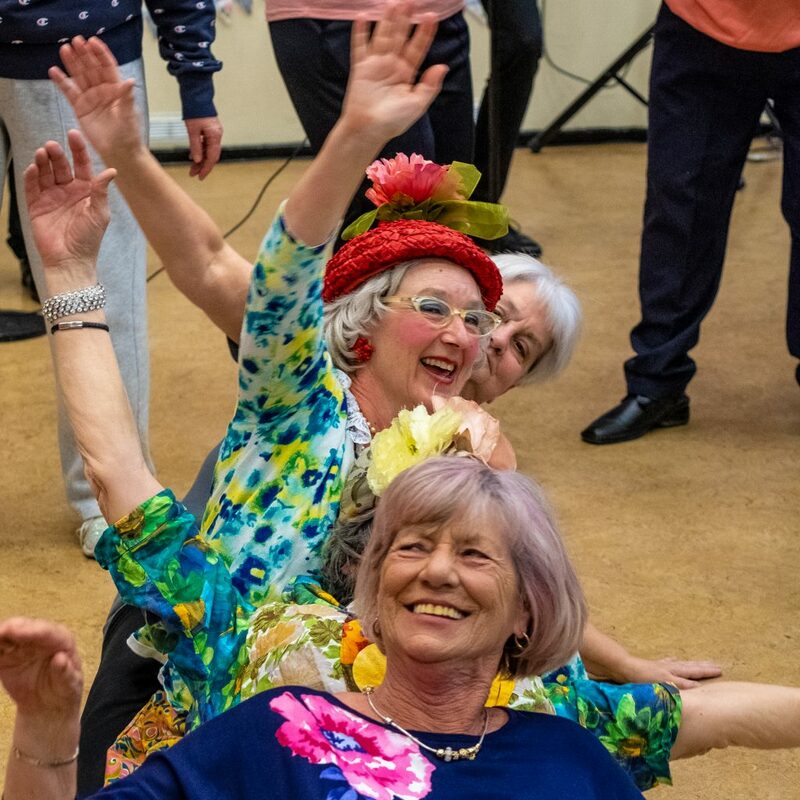 The Big Spring Shindig at Edinburgh Street Community Centre brought over eighty people together for an afternoon of singing, dancing, food, drink – and a few unexpected Back to Ours twists. There’s no Shindig quite like a Back to Ours Shindig, and yesterday was no different; Edinburgh Street Community Centre was packed to the rafters for a right good knees up. With entertainment from vintage singer Ruth Getz, The Tea Ladies, Daddy Cool, Hull’s own Kingston Swing and Cris Quammie’s Soul Sensation, guests at the Easter-themed event were treated to afternoon tea, an unpredictable game of musical bingo, swing and soul sing-along classics, a Lindy Hop demonstration, and fun and games courtesy of the Back to Ours team. Guests included Edinburgh Street regulars, the Forget Me Not Friendship Group (Goodwin Development Trust regulars), and others from across the city. ‘We just want people to have a good time, and Shindig is particularly for the older community – people who might be isolated, or want to meet new friends. The first Shindig was held at Thornton Village Hall on Great Thornton Estate before Christmas, and organisers are hoping it’ll become a regular event at community centres and venues across Hull. ‘Back to Ours is all about making shows accessible for people – putting things right on their doorsteps and throwing the doors open. ‘It’s really lovely to welcome other communities into Edinburgh Street, and our thanks go to the Forget Me Not Friendship Group – who meet on Thornton Estate – for joining us. For information about Shindig, or any other Back to Ours events, go to backtoours.co.uk or follow the team on Facebook, twitter and Instagram @BTOHull. 1 Comment on "Back To Ours for a Spring shindig"